The Color Issue: Friday Color List...yee-haw! Yesterday was my 27th birthday...just a few more years and I'll be 30!?!?! whoa. I must say, year 26 was one of my favorites! 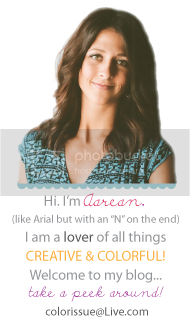 A lot of that has to do with this blog--it has motivated me to delve into my creative side. It has caused me to, as my ole' art teacher would say, "think outside the box". It has helped me realize that I can do and create whatever I set my little mind to (not sayin' it always turns out but hey, at least I attempt it right?!? lol)...and I've LOVED getting to know so many absolutely WONDERFUL people along the way! SO here is to one year older...***cheers! On a side note...this photo of my little S is one of my all time faves. 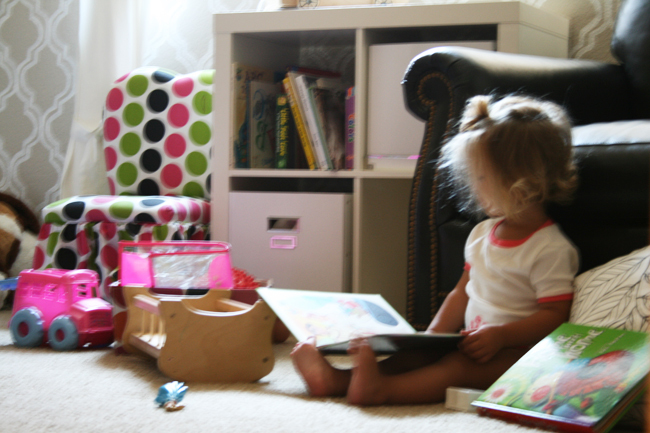 I snapped it while she was sifting through her books one morning. She was so incredibly into what she was reading that she didn't even notice I was "paparazzing" her cute little self! ha. Her imagination is getting more colorful and creative with each passing day and my gosh I just can't get enough! Oh I just want to squeeze her all day long...(but I refrain...for the most part). 1. Would you like some tea? 3. Flip through pages of color with one of my new faves! 9. wish these came in my size! Have a glorious weekend...oh and don't forget to enter THIS GIVEAWAY!! It ends tonight!! !